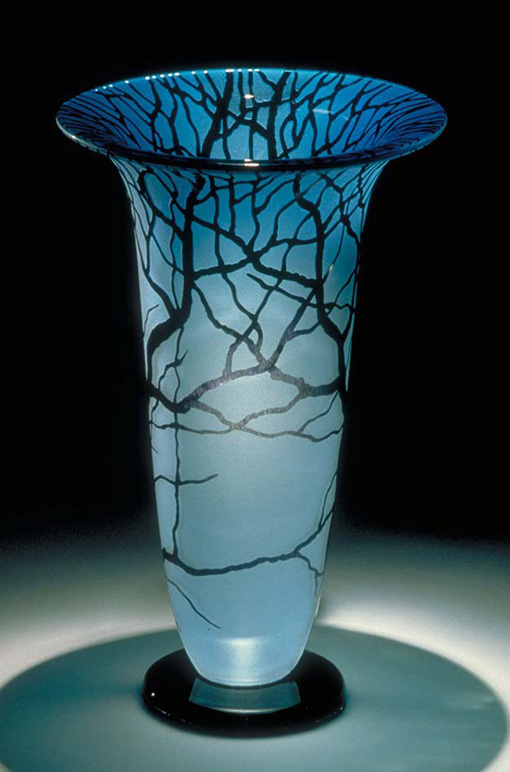 The Tree Vase is one of earliest hand blown glass vases that Bernard still makes to this day. 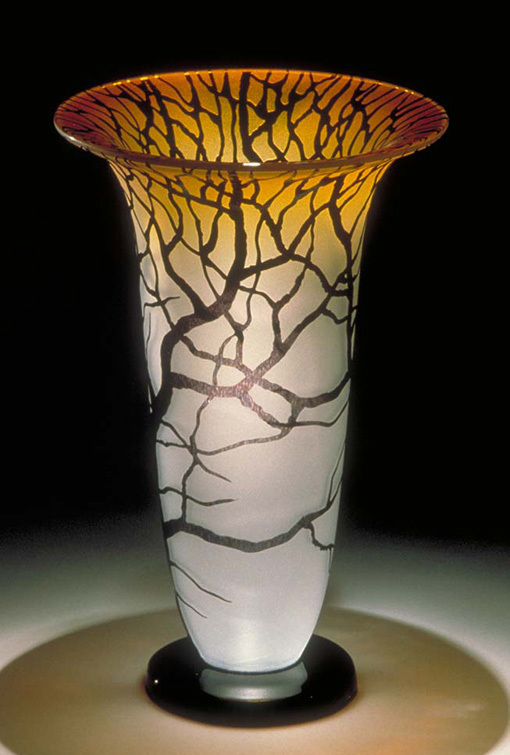 A view from a window inspired a theme that Bernard continued to explore through out his career. 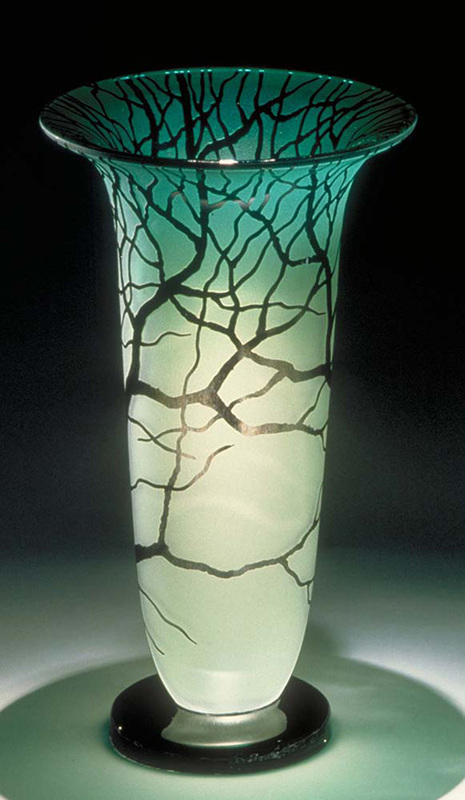 This hand blown art glass vase has withstood the test of time, remaining a recognizable work of art from Bernard Katz Glass.